To establish whether a department or Facilities & Services (F&S) is financially responsible for the operation and maintenance of University facilities and their contents. This policy applies to campus general building operation and maintenance, with the exception of Auxiliary Services buildings, certain specified departmental buildings, leased property, certain farm buildings, Willard Airport, and Robert Allerton Park, including but not limited to the Allerton Park and Retreat Center. F&S has the primary responsibility to maintain university facilities in an operational and serviceable condition within a prescribed budget. Because F&S allocates the budget for its campus maintenance responsibilities based on the highest priorities, certain maintenance or related requests may be deferred due to budgetary constraints. F&S is responsible for the cost of general building operation and maintenance, with the exception of Auxiliary Services buildings, certain specified departmental buildings, leased property, certain farm buildings, Willard Airport, and Robert Allerton Park, including but not limited to the Allerton Park and Retreat Center. A department is responsible for the purchase, installation, and maintenance of departmental equipment. F&S, through its Division of Responsibility (“DoR”) Coordinator or another delegated official, will provide guidelines (“DoR Guidelines”) setting forth whether a department or F&S is financially responsible for the operation and maintenance of certain University facilities, including but not limited to exterior, interior, plumbing, heating, ventilation and air conditioning, electrical, custodial services, miscellaneous items, lifts and conveyances, and grounds and waste management. The DoR Guidelines will govern the division of financial responsibility between F&S and departments. F&S and the respective department will collaborate in developing individual building asset clarification sheets (formerly “exception sheets”) for exceptions to the DoR Guidelines. 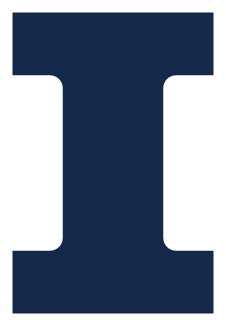 Campus Recreation, Document Services, Division of Intercollegiate Athletics, Illini Union, Illini Union Bookstore, McKinley Health Center, the Parking Department, and University Housing. A college, school, division, institute, bureau, office, unit, and/or center, as applicable. Equipment, either permanently installed or movable, which is primarily required by the nature of a department’s activities. F&S has made available the DoR Guidelines on its website and that online document will be the document of record. F&S will permit electronic access to DoR documents via the my.FS portal, provided that the individual seeking access has completed the required authorization process. For questions about responsibilities, contact the Division of Responsibility Coordinator or the F&S Service Office, (217) 333-0340, fsserviceofffice@illinois.edu.